The Schwalbe Lugano T K-Guard Tubular Road Tyre uses K-Guard protection to reduce puctures on every ride. K-Guard uses a layer of natural rubber that is reinforced with Kevlar® fibres. 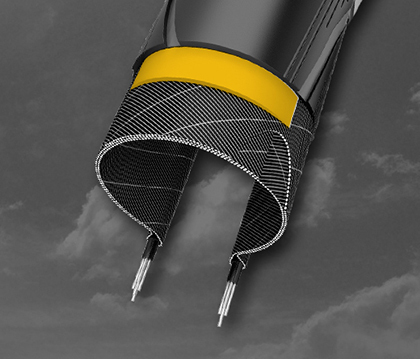 The image above shows a cross section of the K-Guard Kevlar® protection on a wired tyre, the folding version will be delivered.